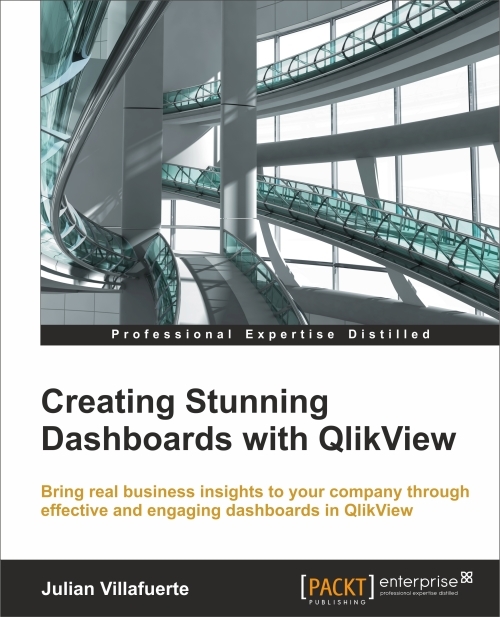 Creating Stunning Dashboards with QlikView is an easy to follow handbook that guides you through the process of creating an effective and engaging dashboard that delivers tangible value to the business. It starts with the identification of the business needs and the definition of the main KPIs, and takes you all the way to the application rollout. Throughout the book, you will learn how to apply some of the best practices in the field of data visualization, create a robust navigation schema, work with colors, choose the best chart types for each scenario and many other things that will help you create effective dashboards that uncover all the stories behind your data. *Although Amazon usually delivers faster, I prefer Packt because you have immediate access to the digital version in multiple formats.